Description: Modern clear span warehouse, concrete tilt panel and metal walls. 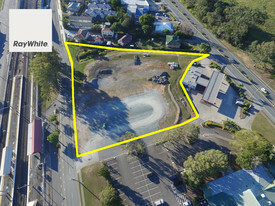 Area: 125m2Tenant: Rova Media Pty LtdTerm: 4 years commencing 1/9/2008Option: 4 years - which has now been exercisedRental: $25,724p.a. + GST + outgoingsComments: - Rova Media are a national company who specialise in advertising for the taxi cab industry in Sydney and Brisbane. - The tenant has occupied this building for 5 years. - Very rarely available in this affordable price bracket. - Some depreciation allowances remain. For more an inspection or more information, please contact agent.